Fayetteville Main Street placed prize boxes in Main Street Member’s Business on the first Friday of each month from May to October. Register to win a prize: On the First Friday of each month through October visit a Fayetteville Main Street Member and place your name and contact number in the “Prize Box”. No purchase is required. Gifts Certificates are good at any Fayetteville Main Street Member Business. 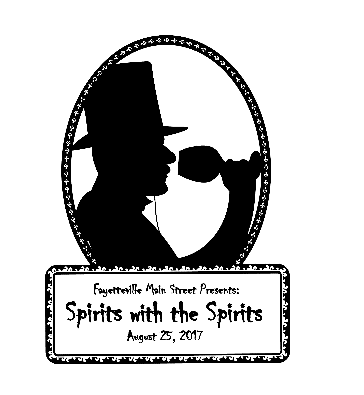 Thank you to everyone for another successful “Spirits with the Spirits”. 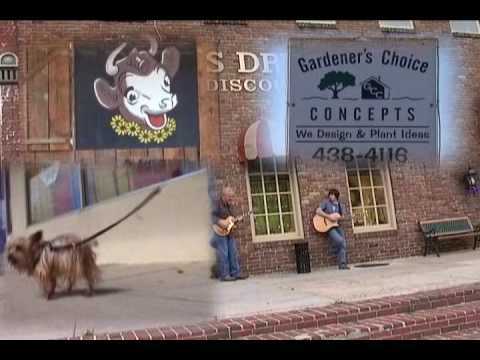 Fayetteville Main Street has been an active and vital part of the Community since 1990. Main Street revitalization is a comprehensive, incremental, self-help economic strategy that focuses on developing public-private partnerships in order to enhance community livability and job creation while maintaining the historic character of the district. The Main Street approach is not a quick fix, but rather one based upon the Four-Point Approach of the National Main Street Center. Design means getting our downtown into top physical shape. Capitalizing on our assets such as historic buildings and the traditional downtown layout is just part of the story. Main Street also strives to create an inviting atmosphere through parking areas, signs, sidewalks, street lights and landscaping. Organization means getting everyone working towards common goals. The tough work of building consensus and cooperation among the groups that have an important stake in our downtown can be eased by using the common-sense formula of a volunteer-driven program and an organizational structure of board and committees. Economic Restructuring means finding new or better purposes for Main Street enterprises. Helping existing downtown businesses expand and recruiting new ones. Fayetteville Main Street converts unused space into productive property and sharpens the competitiveness of its businesses. If you have been to downtown Fayetteville recently, you might have seen that some of the storefronts have refreshed looks—new paint, awnings, glass, signs, and much more. 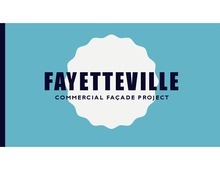 Chances are, many of the businesses you have noticed were recipients of a Commercial Façade Improvements Grant administered by the Fayetteville Main Street (FMS) organization. With the assistance of the City of Fayetteville, FMS applied for a $100,000 grant through the Tennessee Department of Economic & Community Development (ECD) in 2015. Following award from the State, FMS accepted applications from FMS member businesses to make façade improvements. Owners were required to match the grant with 25% of their own funds, but were able to choose their own activities and use their own style. Thanks to a grant contribution from the City of Fayetteville, all applications were funded. In total, 19 businesses and their building owners participated in the grant program. Nearly $147,000 were spent on the improvements. Most of the contractors and suppliers utilized were from Fayetteville or the surrounding area. Download "Fayetteville Before & After Presentation PDF.pdf"
Governor Haslam has proclaimed the month of April as “Fair Housing Month” in Tennessee. The Governor calls on Tennesseans to be “aware of the importance of equal housing opportunities” for all citizens.